Way back in the mid-1960s there was a truly creative upwelling of music coming out of England. Musicians like Derek Bailey, Kenny Wheeler, Evan Parker, Dave Holland, and many more were beginning to leave their mark on the music. One of the major documents of the music being made in and around London at that time was the Spontaneous Music Ensemble’s Karyōbin LP (read Colin Green’s review of the recent reissue here). Shortly after that recording session, Dave Holland moved to New York to begin his now legendary run with Miles Davis followed by his time with Anthony Braxton and Sam Rivers (and John Hartford, let’s not forget Holland’s excellent bluegrass phase). 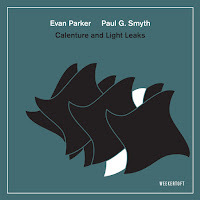 Evan Parker has charted his own enigmatic course over the last fifty years. 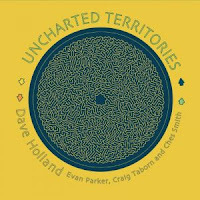 Uncharted Territories is the first full album Holland and Parker have recorded together since the SME days. (There is also a single released earlier this year to raise money for the Vortex Club in London.) And Craig Taborn and Ches Smith are certainly no strangers to the creative music scene. 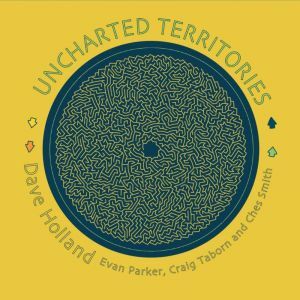 The music on Uncharted Territories is fully improvised, with the exception of Q&A, which first appeared on Holland’s Conference of the Birds. (There is also a great version on Circle’s Paris Concert from 1971.) The tracks cycle through all the subsets of the quartet, featuring duos and trios in addition to the full band, with the track names reflecting which permutation is performing. 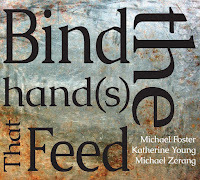 The tracks are mostly short by improvised music standards, mainly between four and six minutes. 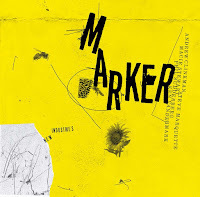 The relatively short track lengths allows for a wide diversity of ideas to be worked through over the course of the twenty-three cuts, presented on two CDs or three LPs or digital download. The album is so long, clocking in at just over two hours and ten minutes, that I was initially overwhelmed by how much music is presented here. The only choice was to dive in head first and let the ocean of sound wash over me. The music is as exciting as you’d expect from four creative musicians at the top of their games. 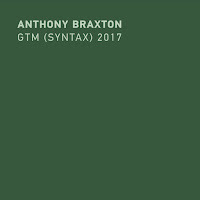 Taborn’s use of piano, organs, keyboards, and electronics offers a wide variety of timbral possibilities as does Smith’s use of the drum set and a wider percussion arsenal. 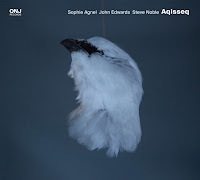 I’m particularly fond of the bass and percussion duets, as well as Taborn’s organ playing, but there is so much to hear, something for everyone. The real treat is of course the cuts featuring the full quartet. The album is well worth spinning many, many times. Uncharted Territories is the first time this quartet has performed together. I hope this group has a long life together. It would be a special treat to hear this group develop together over many years. I can only imagine would a beautiful mindfuck it would be to see them live. I ordered this as soon as I became aware of its existence and have been immersed in it ever since. Just a very rewarding output of two days of recording. I was hoping that Holland's and EP's paths would cross again and the results satisfy my high expectations. Thanks for reviewing this promptly. I share your wish that this is the start of a long existence of this quartet. Btw Holland played acoustic bass on one cut of Bonnie Raitt's early 70s "Give It Up" album. Well done David, this is a great album. Reminds me of a 'lost' British jazz album from the late 60's/ early 70's period that you mention. I love the logic of Craig Taborns playing. Great to her him with a legend like Evan Parker. Just a minor correction on this review, which I've sought out because I've belatedly picked up the album: Per the liner notes, Ches Smith composed two of the tracks ('Thought on Earth' and 'Unsteady as She Goes'). I quite agree that this is excellent.